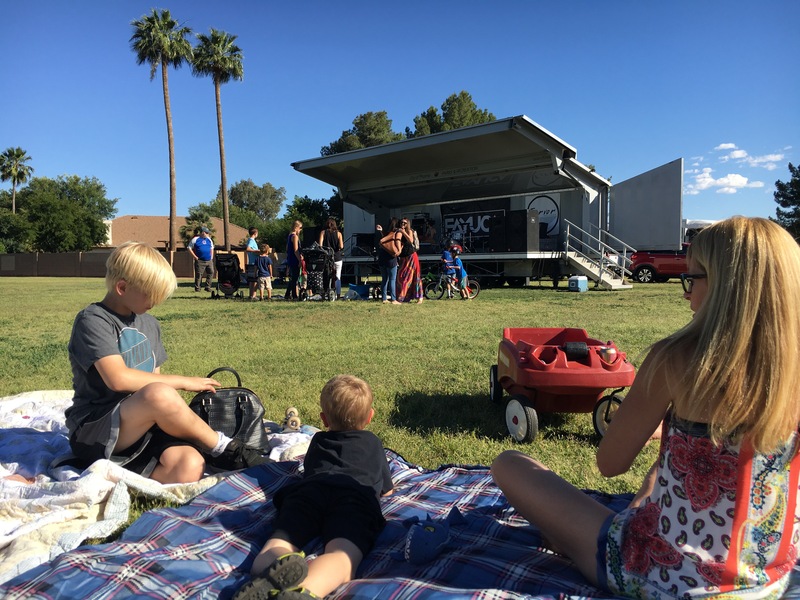 On Saturday, April 29th, 2017 the Royal Palm Neighborhood hosted another free “Concert In The Park.” Hillary Rusk and Andy Naylor did a fantastic job coordinating the event in conjunction with Councilwoman Debra Stark, Councilman Danial T. Venezuela, the City of Phoenix Parks And Recreation Department, and Phoenix based record label, Fervor Records. 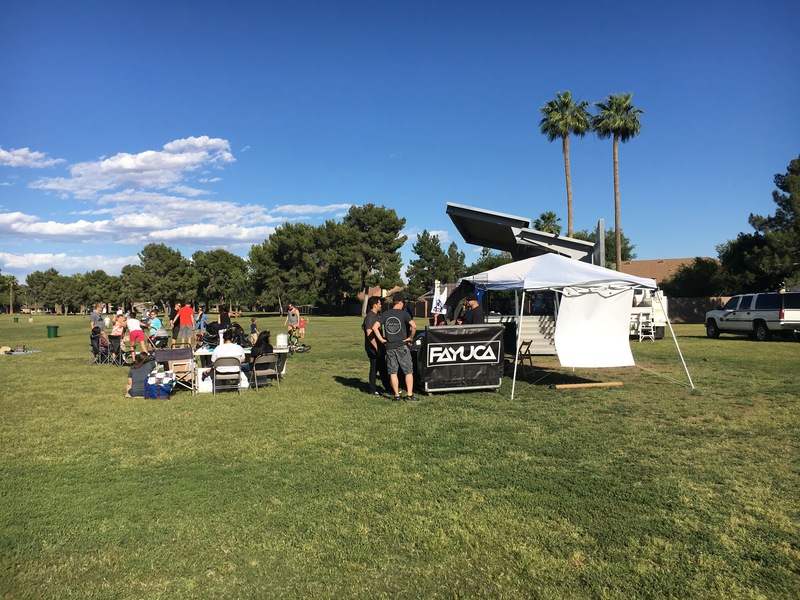 The free event featured gourmet food trucks, live music, plenty of prizes, and all the wonderful amenities Royal Palm Park has to offer. Fervor Records recording artist, CooBee Coo, started off the evening’s entertainment. The band’s music is regularly featured in hit TV shows including NCIS, Chicago Fire, Flaked, and Lucifer, to name a few. Up next was another Fervor Records artist, Fayuca, the high energy Latin/Reggae/Rock national touring act who lit up the crowd. Finishing the evening’s entertainment was the delightful husband/wife duo, Foxheart, who literally had every kid under 7 dancing and screaming for more! 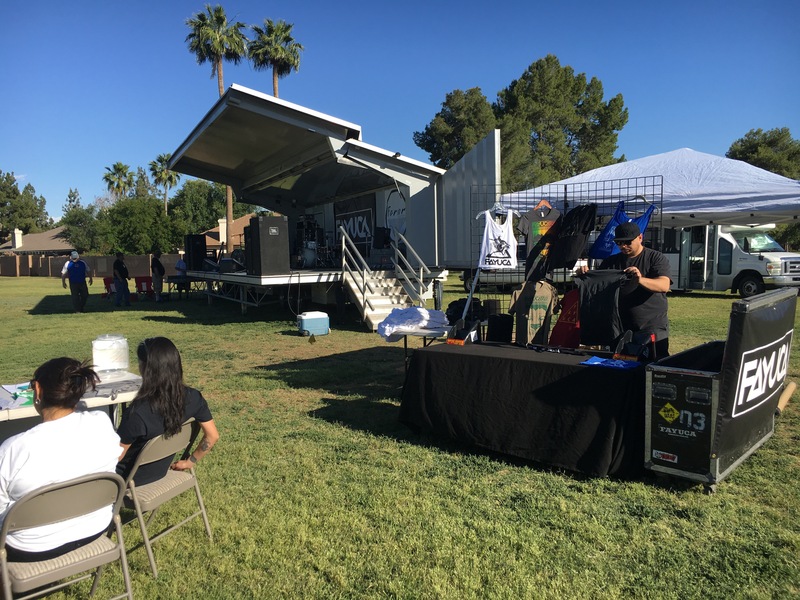 Plenty of lucky attendees took home awesome free swag including T-shirts, concert tickets, CDs and more courtesy of Fervor Records, CooBee Coo, Fayuca, and the Royal Palm Neighborhood. 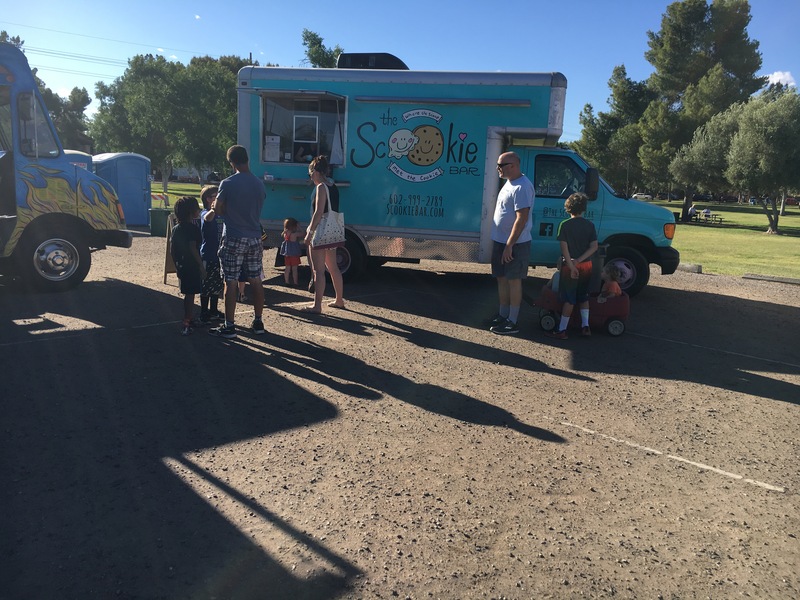 The parking lot was filled with a variety of food trucks and there was something for every appetite! Wood-fired oven pizzas, gourmet quesadillas, hot dogs, hand made popsicles, kettle corn, incredible pies, cookies, and ice cream were available for purchase. 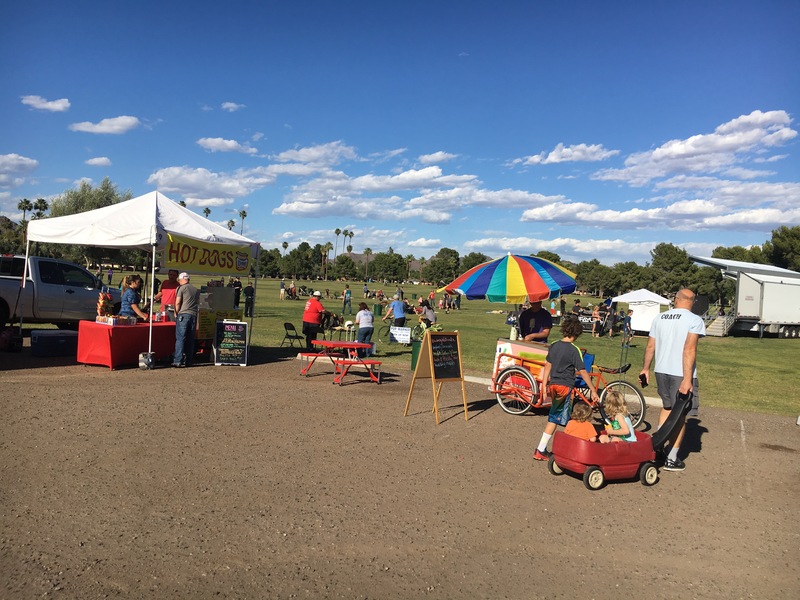 While metro Phoenix seems to keep growing and expanding around us, opportunities like this create the feeling of a small town. 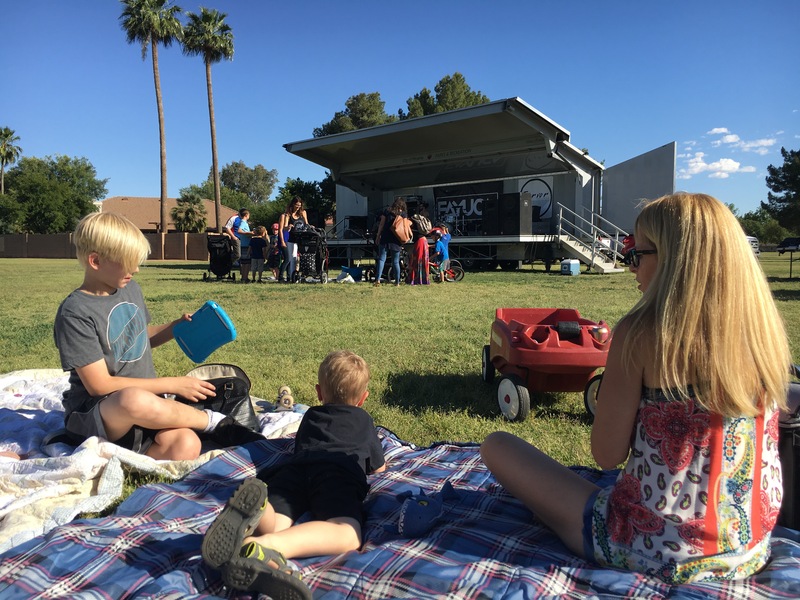 Thank you, Royal Palm Neighborhood, for providing enjoyable opportunities to connect with our friends and neighbors. 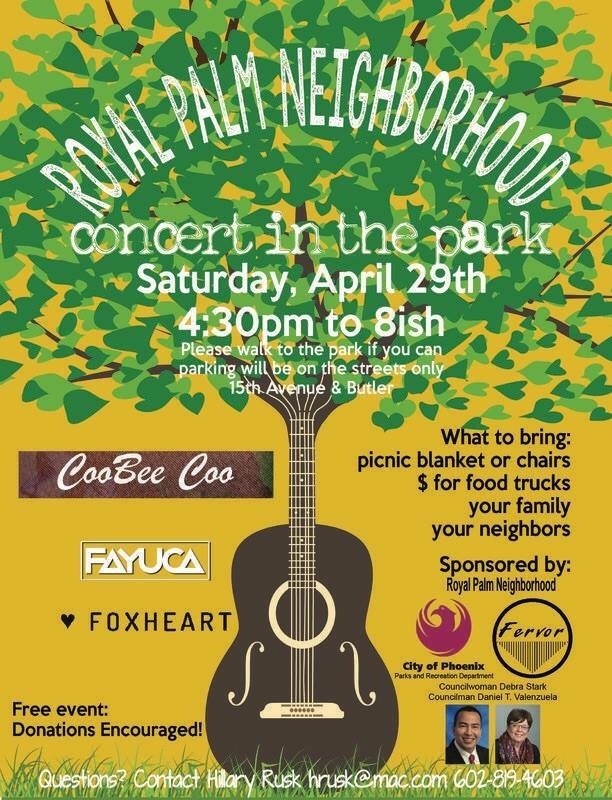 The next event in Royal Palm Park is Movie Night on May 20th at 6 pm. We hope to see you there!